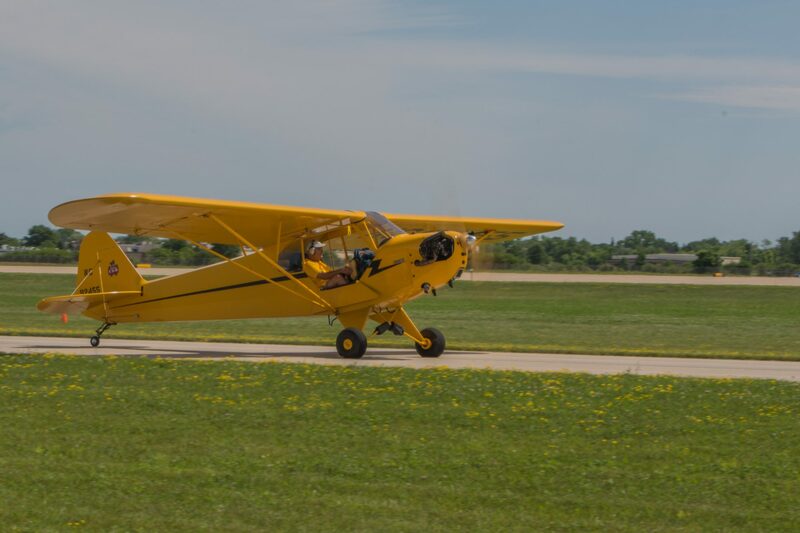 This magnificently restored Piper J-3 Cub found itself (along with Bob) parked far, far away from all of the other beautiful planes. She was so far south of the airshow that we had to show our passport to cross over into the area where she was parked. Would the judges have the perseverance, time and energy to give “Show Girl” the attention that she deserved? Did they even realize that she was at the Oshkosh airshow or might they mistakenly believe that she was at the Milwaukee Airshow?